Hyderabad, June 29 (IANS) The United States Pharmacopeia (USP) has joined hands with the Telangana government to set up a training institute to help prepare university graduates and pharmaceutical professionals to contribute to a culture of quality in pharmaceutical manufacturing, it was announced on Friday. The agreement was signed by Telangana's Principal Secretary, IT, Electronics & Communications, Jayesh Ranjan, and USP's Senior Vice President, Global Sites, K.V. Surendranath in the presence of Telangana's Information Technology and Industries Minister K.T. Rama Rao. 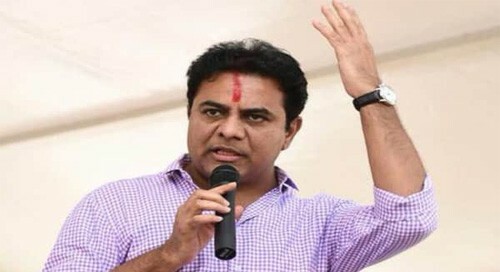 "Telangana government is developing the world's largest pharma city, medical devices park and also expanding the most successful life sciences cluster - genome valley 2.0 for rapid growth of pharma and life sciences industry in Hyderabad, and help reemphasize Telangana's position as a leader in life sciences," said Rama Rao.